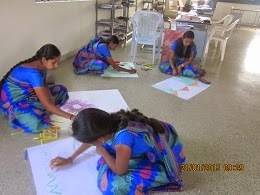 The B Ed College at MJC (Michael Job Memorial College of Education for Women) once again organized our Citizenship Training Camp for B.Ed., trainees with a view to sensitize the participants on ‘ Civic sense and social skills” and to be more aware of the rights and duties of a good citizen. The participants were divided into four groups, each with a leader. Each and every participant was given clear responsibilities for the day with instructions and guidelines before the commencement of the camp. Co-ordinator briefed the objectives of the camp. Mr.Mathew Philip, in his Presidential address, indicated the importance of citizenship. Dr.Ajex Rumavathy, Principal, Bishop Appasamy college of Education, Coimbatore, clearly explained the duties of a teacher in moulding the future citizens of our nation. Mr.KuruvillaVarghese, Dr.Devanesan Sanjeevi,Principal, Mr.Shyam Trinath and Mr.Venkataraman wished all the students for the success of the camp. Ms.Arthika, student, proposed the Vote of Thanks. 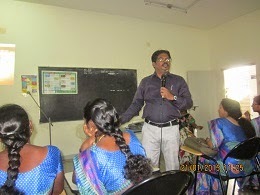 Ten scientific sessions were organized to equip the participants to gain knowledge about good citizenship which included Bio-Diversity, Stress & Time Management,EPIC’3’ MADE, Tamil debate on Women’s Development ,Health Education , First aid, Child Protection issues, Human Rights and Women Empowerment, Personality Development and Positive Thinking. Experts in the concerned fields were invited to deliver the seminars. For the purpose of developing different skills, Competitions like singing, oratorical, debate, drawing and painting were organized for the participants. 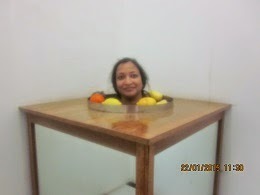 An Exposure visit was arranged to G.D Naidu Museum and Regional Science Center which gave a different experience. On The final day, all the participants displayed the articles made of waste materials (on the concept ‘Wealth from waste’). 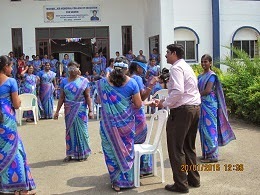 Prizes were distributed to the winners of the various competitions. All the participants were enriched by the variety of experiences.